(Mineola, NY) The Long Island Center for Professional Women recently held their 35th Annual Achievers’ Awards Gala at Fox Hollow in Westbury. The Long Island Center for Business and Professional Women is one of the leading networking organizations on Long Island. The Center is dedicated to expediting the advancement of women to equal participations in business, industry and the professions. 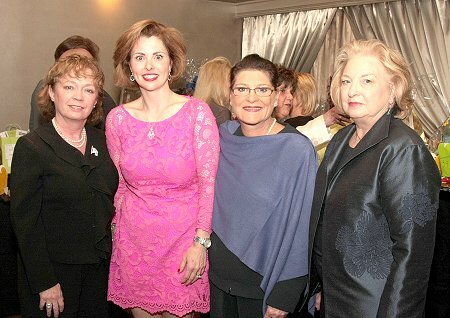 Nassau County Clerk Maureen O’Connell, Josie Callari, Erin King Sweeney, Leslie H. Tayne, Esq., Colleen West and Meredith H. Celentano were all recipients of this prestigious award in recognition of their contributions in the fields of business, community affairs, education and government.